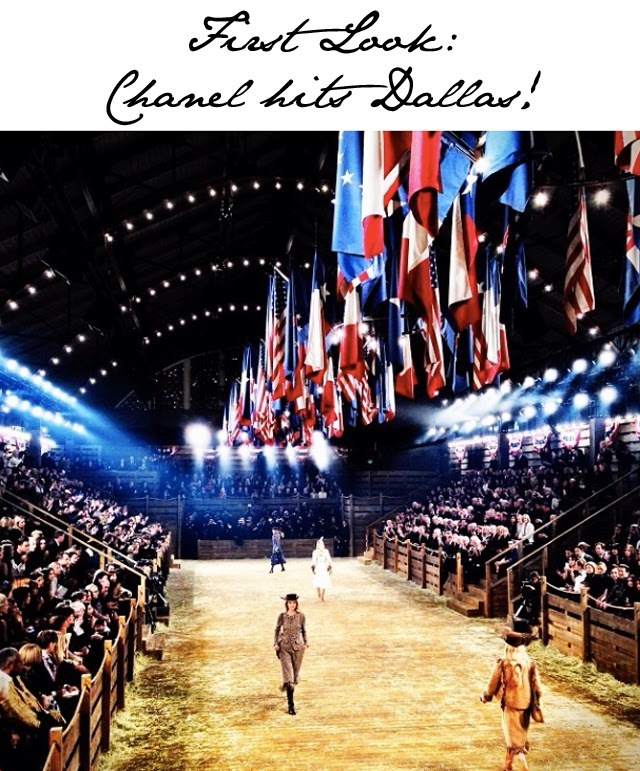 Chanel's Dallas show: First look at the movie premiere and show setting as told through Instagram and Twitter! 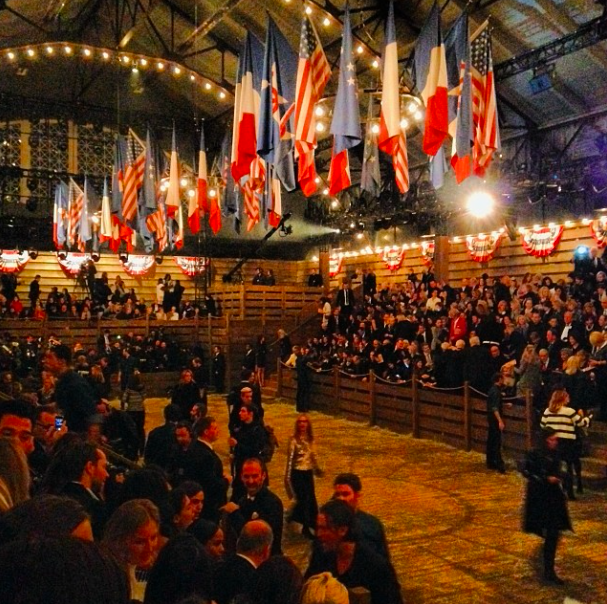 So tonight was the big night - the Chanel show in Dallas, Texas. 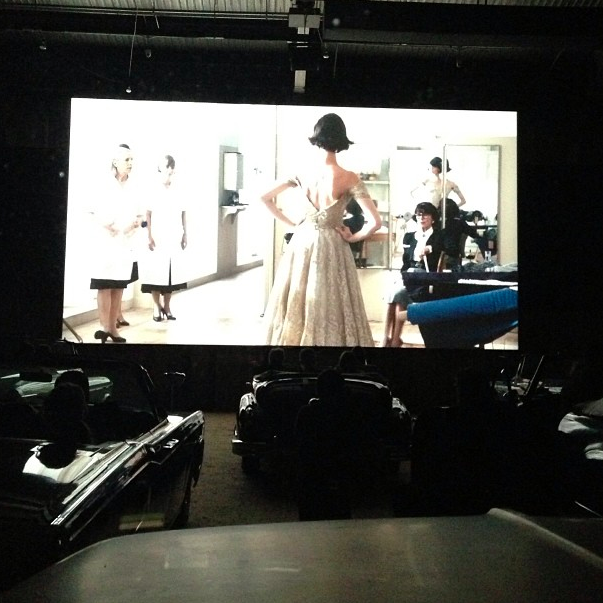 Guests arrived at the Texas State Fair Grounds to find a cargo hold full of antique cars set in front of massive movie screens. 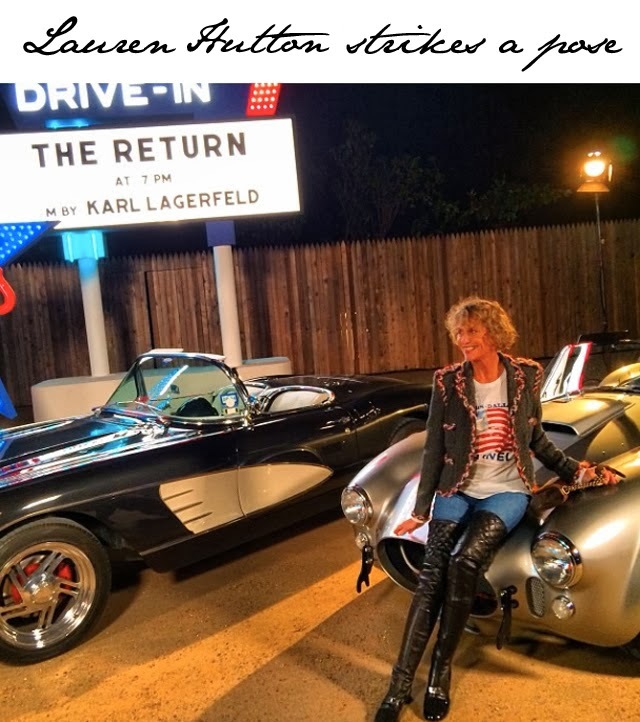 Yes, Karl Lagerfeld had recreated an American Drive-In for the night to showcase his new film on Coco Chanel titled "The Return". 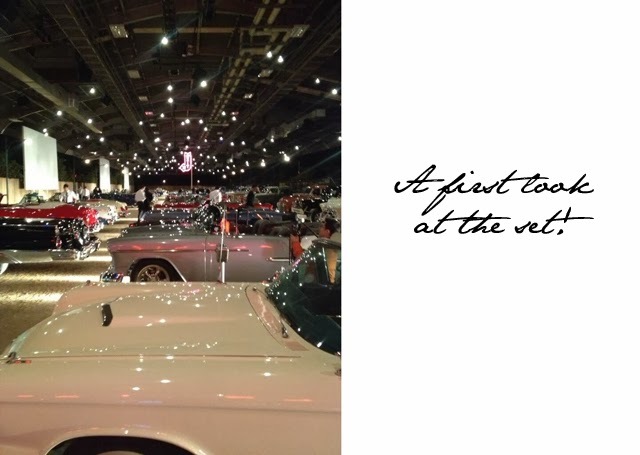 Lauren Hutton, Alexa Chung, Lily Collins, Anna Wintour, Kristen Stewart and many more appeared on the scene to take their positions as VIPs in classic vehicles. 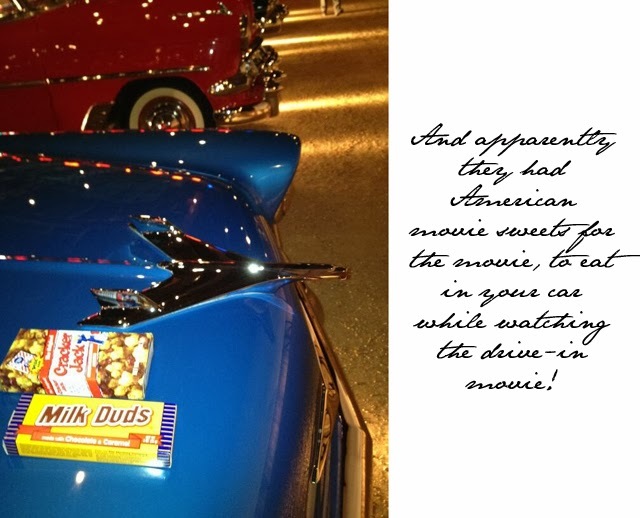 They were treated to classic American movie theatre candy, popcorn and cocktails as they found their seats. 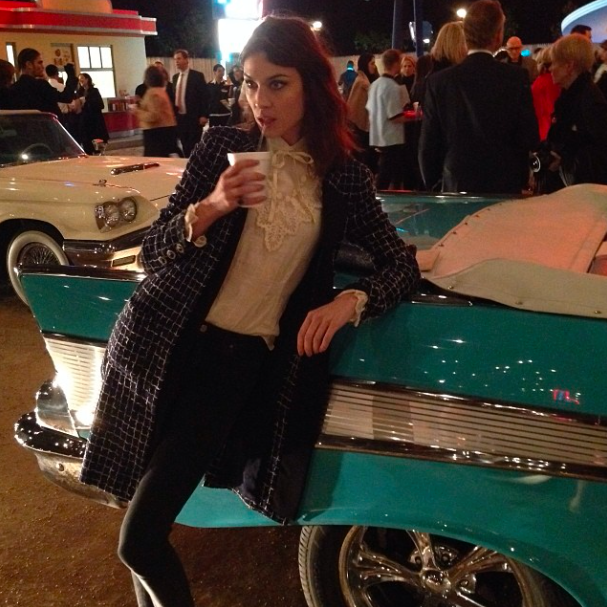 Even the waiters for the night fit the theme, dressed in uniforms that seemed to come straight out of a 1950's diner. 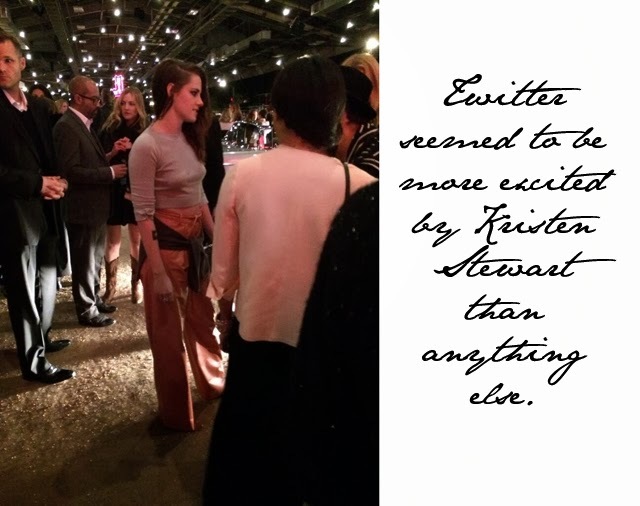 After the movie finished (and we'll be bringing it to you in full form once it's released), the crowd moved onto the big show... Chanel Metiers d'Art in Dallas. The scene was set. 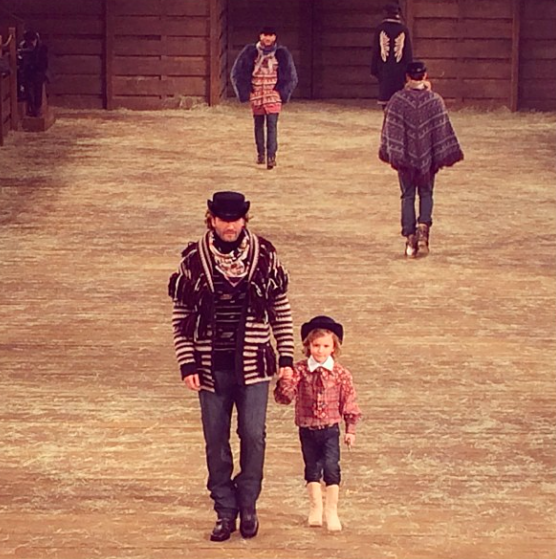 Chanel was about to go all Rodeo on guests with a scene that looked like something straight out of Urban Cowboy. 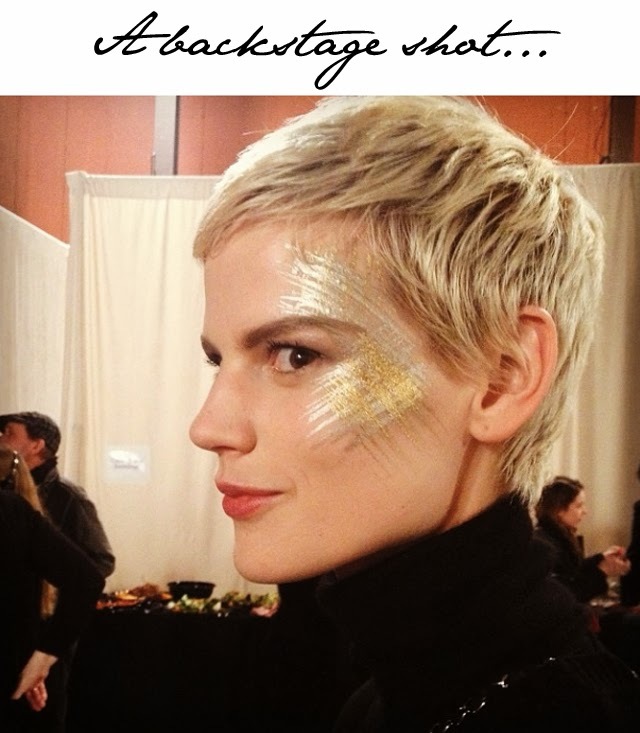 The models took to the runway and put on quite the show. 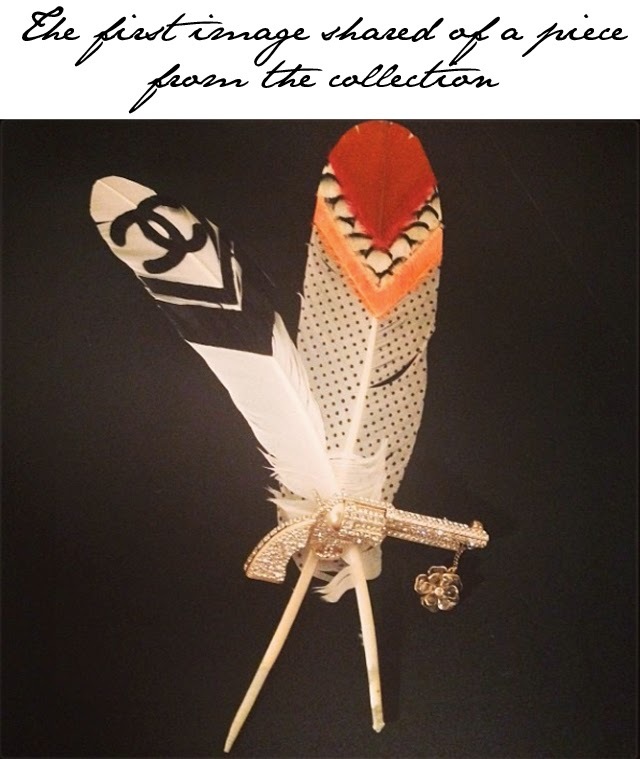 For now, we'll leave you with just the atmosphere and report on all the looks tomorrow with better pictures. 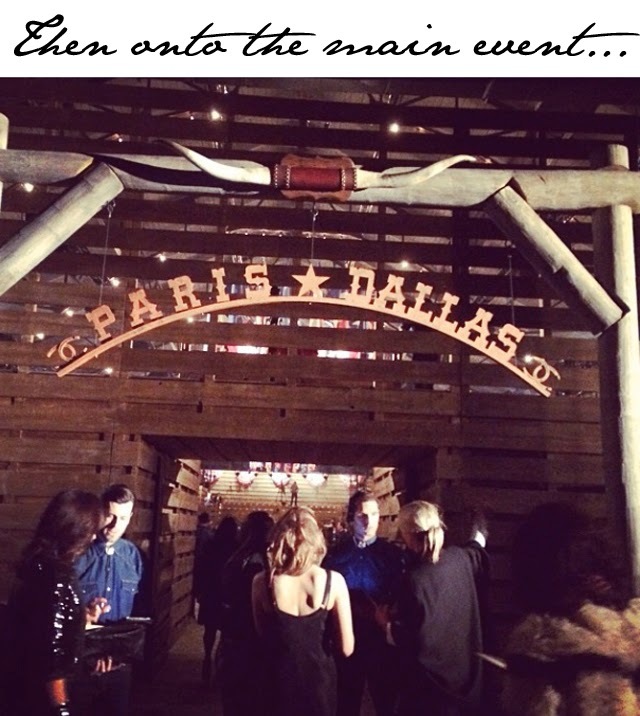 Enjoy the walk through a night to remember. 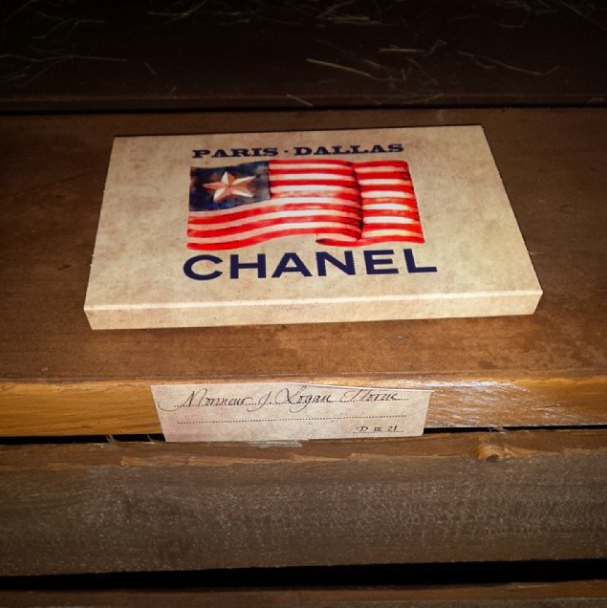 Chanel should come to Dallas more often, we think!